As part of I am Team GB, Brighton Tri Club has partnered with British Triathlon and Brighton and Hove Triathlon to deliver novice training sessions, designed to help new athletes prepare for their first race. We have 3 sessions lined up which will focus on basic skills, tips for race day and particularly aim to address any concerns and fears. 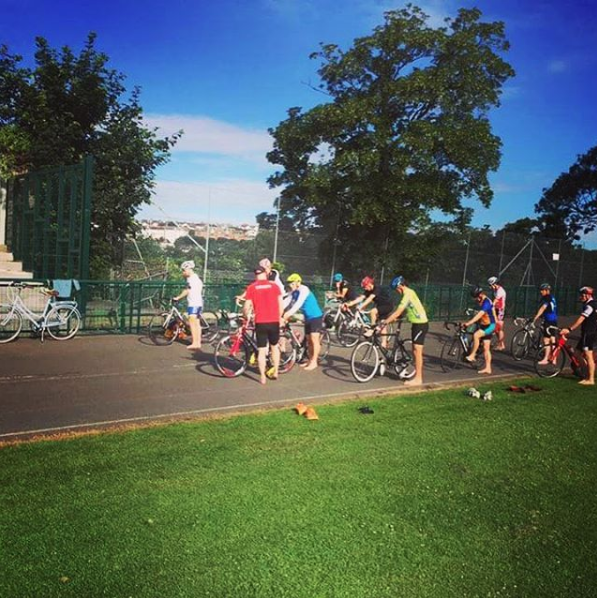 Brighton Tri Club has partnered with British Triathlon and the Brighton and Hove Triathlon to deliver novice training sessions, designed to help new athletes prepare for their first race. We have 3 sessions lined up which will focus on basic skills, tips for race day and particularly aim to address any concerns and fears. FREE - JUST FILL IN THE FORM BELOW! This form is for non-club members who wish to attend the free Open Club Run and/or the Bike & Transition Skills session. If you wish to attend the Novice Open Water Swim please click on the RED button above and pay your £10 booking fee to British Triathlon. A bike in good working order and a helmet is required for the Bike/Transition session. We will not be able to help with bike maintenance during this session. NO HELMET, NO RIDE! Thank you, we will be in touch before the session with any last minute details and should you have further questions please mail us at info@brightontri.org.